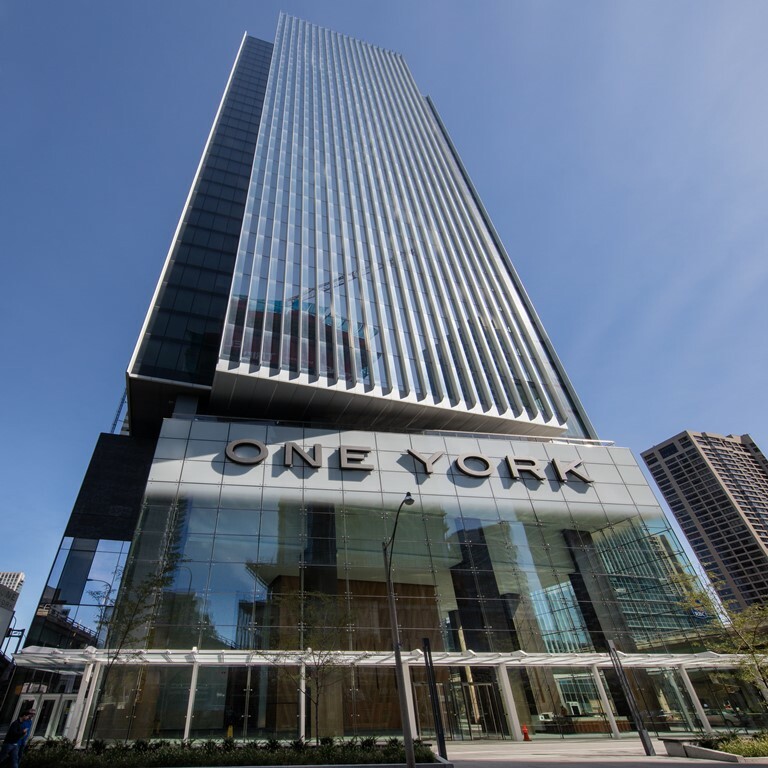 One York earns LEED® Platinum and more! We are proud to announce that One York earned LEED Platinum® for Core and Shell (C+S) certification! This is the highest level that can be achieved through the LEED® C+S certification process, according to the Canada Green Building Council. 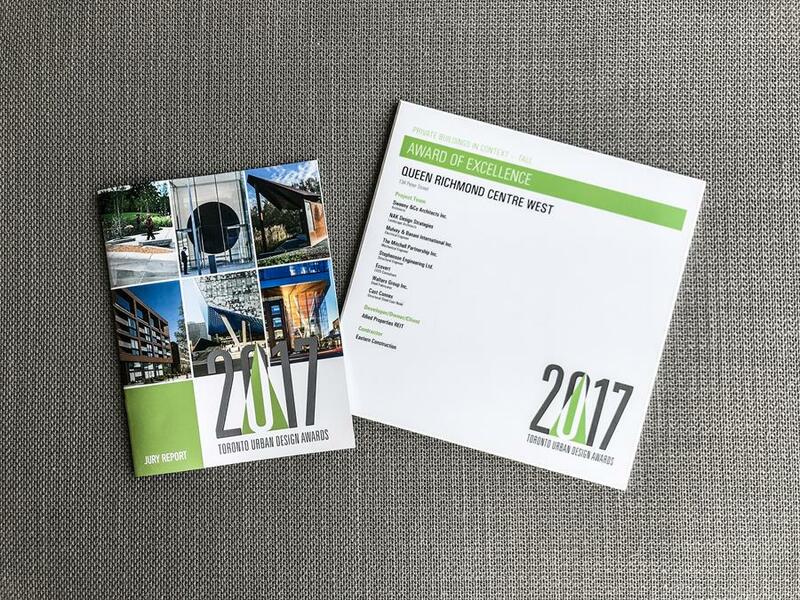 Congratulations to the project team at Menkes Developments, Green Reason, and all the contributing consultants for their excellent work. ...and received Platinum WIRED Certification. WiredScore, the company behind the world’s leading rating system for technological capacity in commercial buildings, in conjunction with Menkes, announced on Monday, October 30th 2017, that One York Street had achieved Platinum Wired Certification, which is the highest level of certification achievable within the WiredScore program. The commercial building was recognized for its best-in-class connectivity, technological infrastructure and readiness to adopt emerging technologies. The certification marks the first completed new development to be Wired Certified in Canada. We're thrilled to let you know that on September 13, 2017 it was announced that Queen Richmond Centre West was the winner of the Toronto Urban Design Award, for the Private Building in Context:Tall category. It was announced at the Palais Royale where the nominees of the 2017 Toronto Urban Design Awards were gathered to celebrate design excellence in the urban realm. Thank you to jurors Betsy Williams, Gary McCluskie, Elsa Lam and David Anselmi for your recognition of the project. ...and was nominated for a Heritage Toronto Award! The William Greer Architectural Conservation & Craftsmanship Award recognizes building owners who have undertaken projects to conserve or adapt a history building or architectural feature of a historic building within the municipal boundaries of the City of Toronto. This award and many others were handed out during the ceremony on October 23, 2017. It was held at the beautiful Carlu and hosted by Christopher Hume. We are proud that Queen Richmond Centre West made it to the final nomination of this distinctive category. 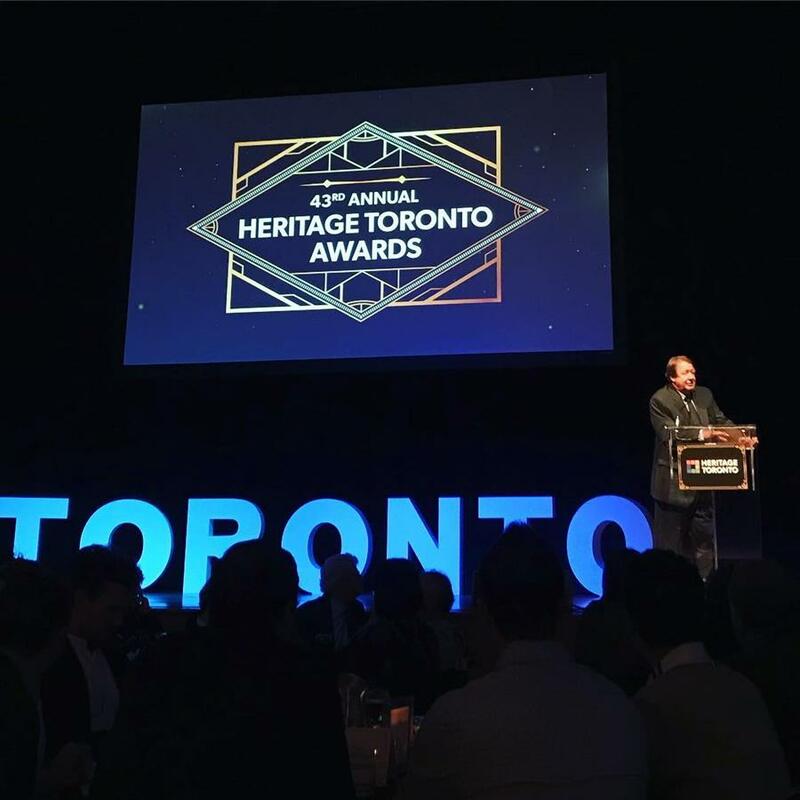 Thank you to Heritage Toronto for putting together such a successful event and we congratulate all the winners of the evening for their impressive work. Were you forwarded this email and want to sign up? Get in here, folks! Sweeny&Co highly respects your privacy and will never share or sell your information to any third party.